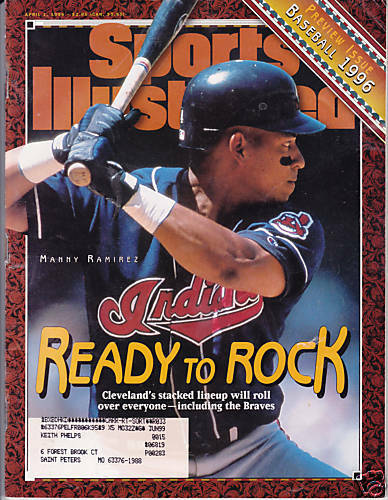 Complete 1996 Sports Illustrated featuring former Cleveland Indians slugger Manny Ramirez on the cover (his first SI cover). Has subscription address and very minor flaws/wear. ONLY TWO AVAILABLE FOR SALE.